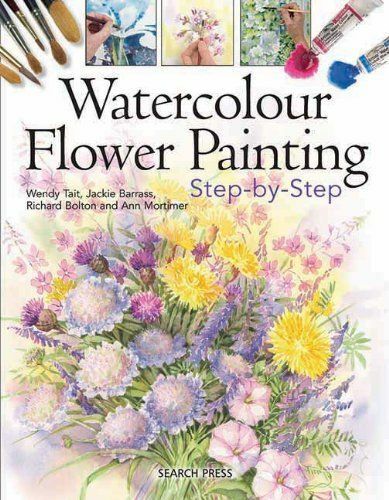 Even flower paintings can have a sense of narrative; they can tell a story and invite the viewer to imagine being in the scene enjoying the moment. When I saw these lilies next to a welcoming shady corner complete with table and chairs, I couldn’t resist taking several photos and enjoying the knowledge that this would make an interesting painting. The scene was at Sissinghurst, in the famous white garden created by Vita Sackville West and Harold Nicolson. 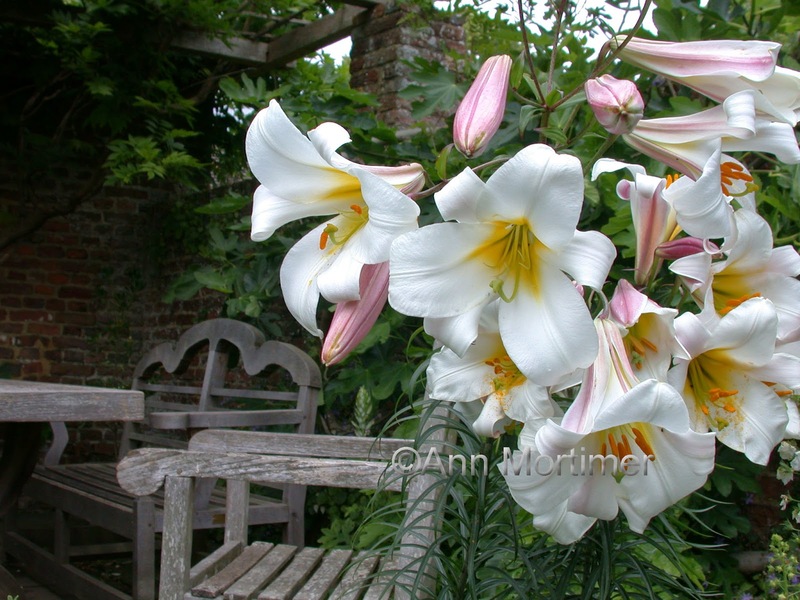 There are people there still who continue to nurture and emulate the couple’s sense of artistry and creative genius, as the lilies had been cleverly placed to create a tableau and a certain atmosphere. Here’s my drawing, which I enjoyed making. 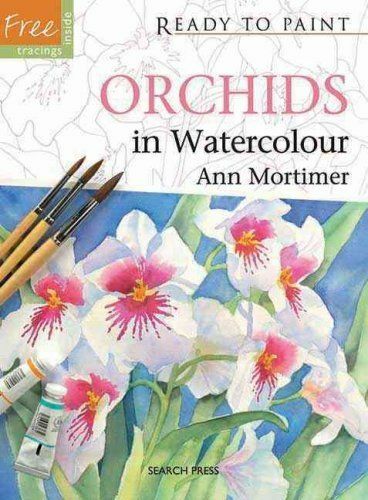 Lilies are wonderful subjects to draw, so generous and open and creating beautiful forms. 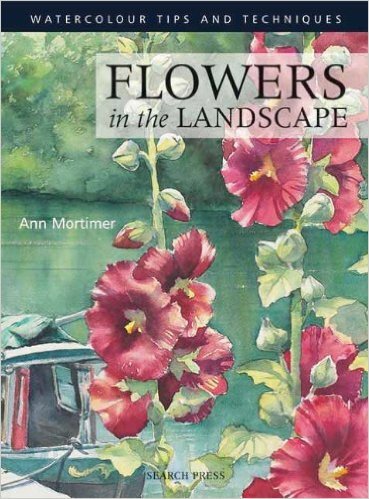 They are almost my favourite flower…after hollyhocks, daisies, irises, etc…! There was a fig tree forming a backdrop to the scene. Lots of detail and opportunities for negative painting! 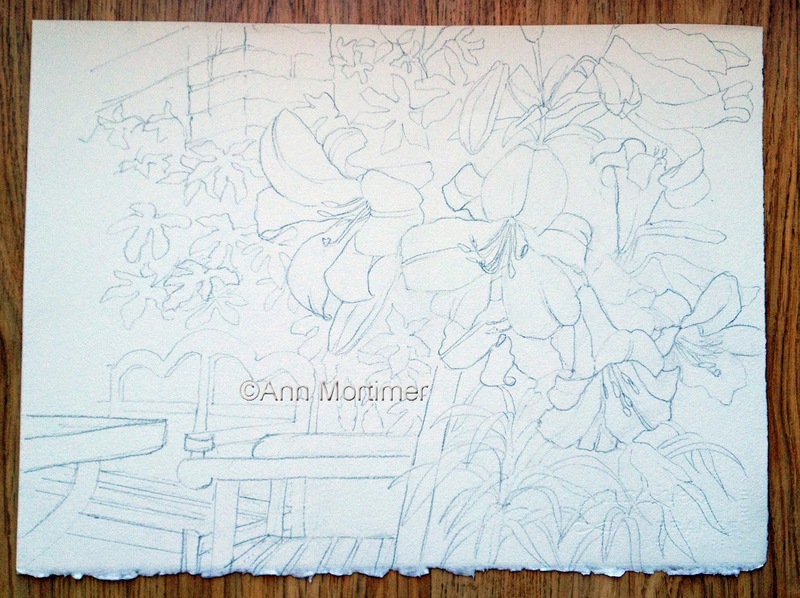 I would have to outline the leaf forms and make the sense of depth apparent, but then I would need to subdue all this so that the “show off” lilies would stand out and take centre stage. My only regret is that there was no chink of sunshine making its way into the scene at the time of day I was there. Watching each stage Ann! it will be gorgeous! Thanks Sue…nice to know you're there! Sounds such a lovely place to visit and find inspiration. I look forward to seeing the masterpiece! Don't know about masterpiece but Sissinghurst is well worth a visit. and there is such a lot written about the place for follow up reading. The South of the country has more than its fair share of lovely gardens and houses…beats the Midlands anyway! Thanks for visiting Polly. 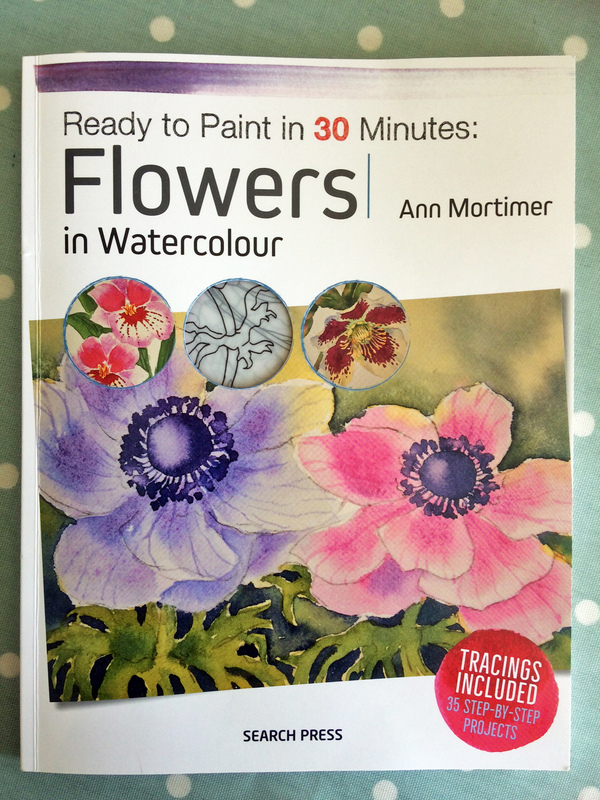 Keep going with your flower painting…can't beat them for their variety of form and colour. Next Next post: In production mode again…the paint is flowing!